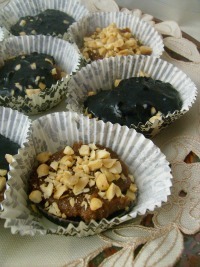 Chocolate Almond Halvah is a type of sweet, dense confection popular in Middle Eastern cultures. I love this recipe and getting the health benefits of the honey in it! Mix the tahini, honey, carob and vanilla together until well blended. You can do this by hand or mix everything together using a food processor. Add the almonds. Shape into a loaf and chill in the refrigerator until firm. When it is firm, cut the loaf into cubes. If you want to experience some of the benefits of eating honey please do so, but buy your honey carefully. 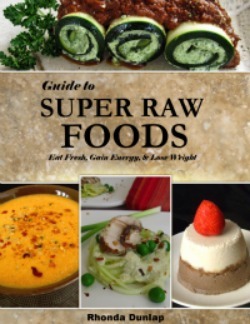 As with all other foods in your raw diet you want to eat only raw honey. True raw honey will crystallize. It also contains particles and dark flecks of bee pollen, bee propolis, and honeycomb wax. This is the healthiest honey to eat! It contains the raw enzymes and the health benefits. Since raw honey will crystallize beware of grocery store products. 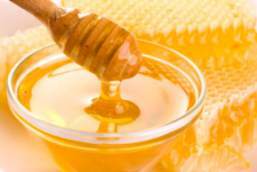 Most commercial honey has additives to prevent it from crystallizing like corn syrup or water. To uncrystallize honey, just put jar in a pot of water and turn on to lowest setting (to ensure honey doesnt reach over 115 degrees (raw). Let honey slowly heat, stirring occasionally. Take jar out of water, let cool, recap. When searching for raw honey, try to buy it from a local beekeeper if at all possible. To find raw honey locally, first check and ask at your local farmer's market. Also, inquire at your local natural health food store for raw honey. Raw honey is also available online as is the very expensive, but highly medicinal, Manuka honey. Avoid commercial, grocery store honey! Most grocery story honey is of a commercial variety. This commercial type of honey has been heated to extract the natural honeycomb from the honey itself and has lost its natural beneficial enzymes.